Hello and Happy Summertime! I finished my last teacher workday this past week and I am official on summer break until mid August. I am so excited to have some time to relax, travel a bit, work on the house and finally get around to making all the recipes I have been pinning for the last few months. Last week was another great week of link ups and I had a hard time picking the features. You all are way too good at cooking and baking. My first feature is a breakfast dish from The Vegetarian Cassarole Queen. Her idea to make oatmeal in the slow cooker is amazing and I will have to try it out for Justin soon. He gets up pretty early for work so I bet he would love having his breakfast hot and ready for him when he wakes up. For the main course feature, I chose these delicious looking Chicken Pockets with Tomatoes and Cheese from Naptime Creations. When I saw them for the first time I literally went through the list and checked to see if we had everything needed to make them and was about to go straight into the kitchen and start them for dinner. Sadly we were out of mozzarella but you can bet these are getting made soon. 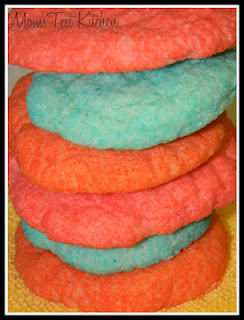 For dessert I am featuring these adorable Jello Cookies from Mom's Test Kitchen. I think they are the perfect summertime dessert and I am already brainstorming on what colors/flavors I want to use when I make them for our summer bbq. If you were featured you can feel free to grab a button from my sidebar. I am hoping to soon be fancy enough to include that in my post. Since it is officially SUMMERTIME for this teacher, I am planning on spending some time brushing up on my html skills and designing buttons for Mealtime Monday and my excited "blog challenge" series that will be introduced this week. Thanks so much for the invitation...and for hosting! I love the features here. I'm following you on Bloglovin now. Have a marvelous Monday. thank you for the feature! Everything looks so good! 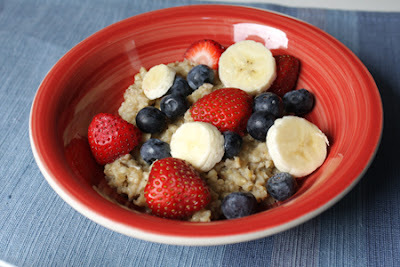 Thank you, thank you, thank you for featuring my slow cooker oatmeal! I hope you and your family like it! Thanks for hosting. I am your newest follower. I found you through Stone Gable. Wow, thank you for the feature Kaylee! I'm linking up another fun cookie recipe this week! Thanks for hosting!! Those chicken pockets look so yummy! I'll have to try them!